With 25 years of sluggish economic growth, Japan’s per capita income has fallen from a level matching the average of the top half of OECD countries in the early 1990s to 14% below that today. Weak growth, together with rapid population ageing, has driven public debt into uncharted territory. 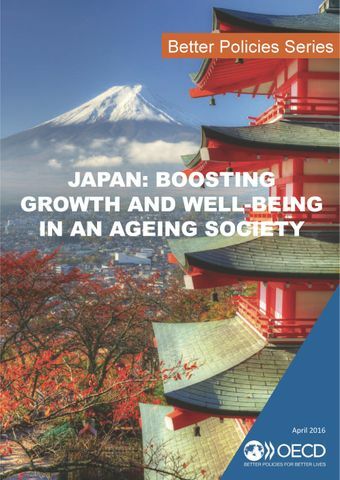 Revitalising growth is thus the top priority for the Japanese government. With the labour force shrinking more rapidly than the population, per capita output can only grow through improvements in labour productivity and labour force participation. Japan’s highly-skilled labour force and its technological leadership can help close the gap with leading OECD countries in per capita income. But broad-based structural reforms, as envisaged in the third arrow of Abenomics, are needed to allow these strengths to fully achieve their potential. The initial impact of Abenomics in 2013 was impressive, and the reform process needs to continue.